Carroll Gardens is a neighborhood in Brooklyn. The area is predominantly Italian, which explains the high density of Italian restaurants and bars. Carroll Gardens is a combination of traditional charm and modern tree-line streets. 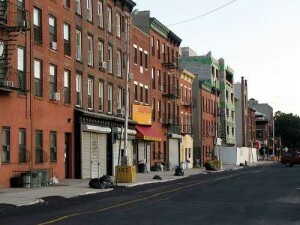 Real estate prices are lower than in many Manhattan neighborhoods, which attracts a lot of Manhattanites to move there. Although much more affordable, the housing options are still far from cheap. Also, the Carroll Gardens school district is one of the reasons why people decide to move here from all around NYC. It is convenient for couples with small children and for young professionals who are moving to Carroll Gardens for business reasons. Furthermore, this neighborhood is an excellent option for retirees searching for some peace and quiet and more than friendly neighbors. That said, Carroll Gardens meets everyone’s needs. The neighborhood offers a lot of dinning options like Zaytoons, Prime Meats, Buttermilk Channel, Vinny’s of Carroll Gardens, Cubana Café, Café Luluc,… Most of them are known for delicious Italian cuisine. There is a lot of green space in Carroll Gardens, people usually take care of the environment and their lawns. A safe and friendly oasis in the middle of the New York City is what makes this neighborhood so special and desirable. The proximity to Columbia St Waterfront and Red Hook makes it even more attractive, no wonder why Carroll Gardens movers are so busy in the area. Many of Dumbo moving and storage customers claim that moving to Carroll Gardens has been one of the best and most important decisions in their lives. If you are living in Carroll Gardens and working in Downtown or Midtown Manhattan, commuting shouldn’t be a problem at all. Being one of the leading Brooklyn NYC moving companies, Dumbo moving and storage movers know perfectly this neighborhood. A trustworthy moving company is what takes to perform a successful move. You can always do it yourself, but hiring reputable movers will make the whole process much easier. Sorting, packing, loading, unloading, unpacking can be a nightmare, but Dumbo movers can make this process more bearable. First of all, you will get a quote, so that you can see if it fits into your budget. If you decide to hire them, you can expect a top quality service and a total commitment to the task. Research as many Brooklyn movers as you can and compare their quotes. Contact them or pay them a visit and make sure to find movers you can entrust with your possessions.